This Saturday, May 5, more than one thousand participants will join together at the annual Relay For Life of Greater Richmond at Pocahontas Middle School to help the American Cancer Society attack cancer from every angle. The event starts at three o’clock with a Kids’ Relay & Run and then an opening ceremony at four o’clock. (Full schedule below). 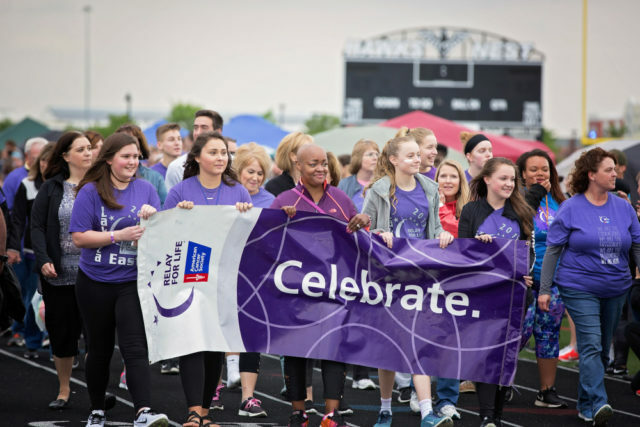 In addition to the support of the community, Relay For Life of Greater Richmond is also supported by many local businesses and organizations. This year’s sponsors include: Apex Systems, Dominion Energy, Markel, Hanover Vegetable Farm, Macy’s, Richmond Family Magazine and MIX 98.1. Together, we can beat our biggest rival. Join or donate to the Relay For Life of Greater Richmond. Visit www.relayforlife.org/rva.